HOLLY PELCZYNSKI - BENNINGTON BANNER Hugh Crowl, astrophysics professor at Bennington College visits the 6th graders at Shaftsbury Elementary School on Friday morning to discuss space, light and indirect light and the four seasons and how they effect the world in different hemispheres. 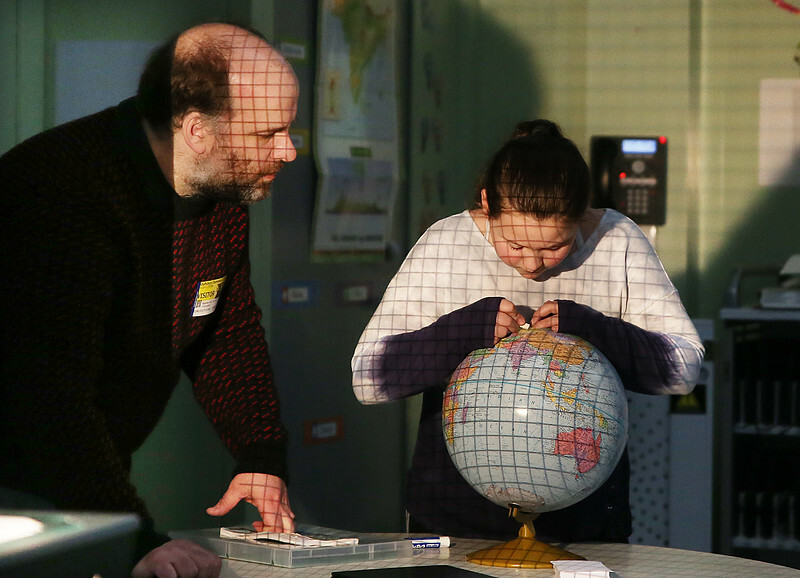 Crowl above, demonstrates how the heat from the sun effects the northern hemisphere with 6th grader Ashley Kosche. Above Felicia Davis makes a mark on a globe while learning about the northern and southern hemisphere.